Louis B. 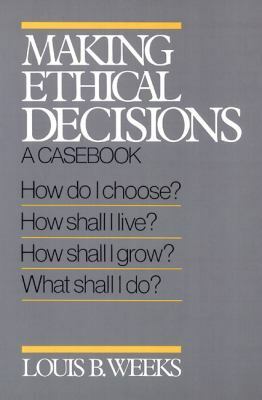 Weeks is Professor of Historical Theology and Dean, Louisville Presbyterian Theological SeminaryWeeks, Louis B. is the author of 'Making Ethical Decisions A Casebook' with ISBN 9780664240646 and ISBN 066424064X. Loading marketplace prices 126 copies from $1.98 How does the rental process work?